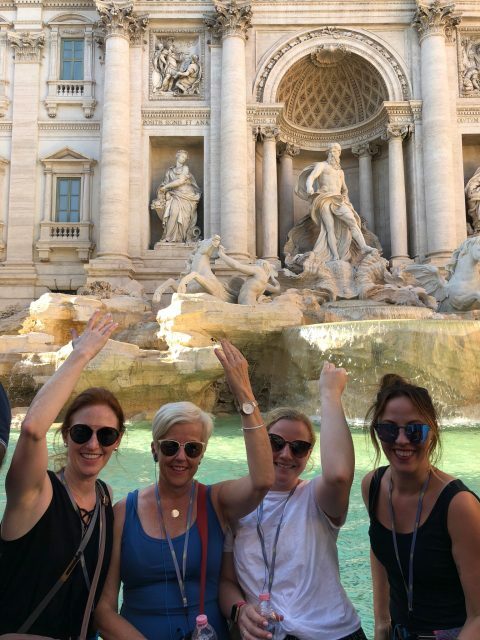 I am back from Italy and it was everything I could have dreamed of and more. Not only the history, architecture, and people, but just the feeling in the air! And, the food. 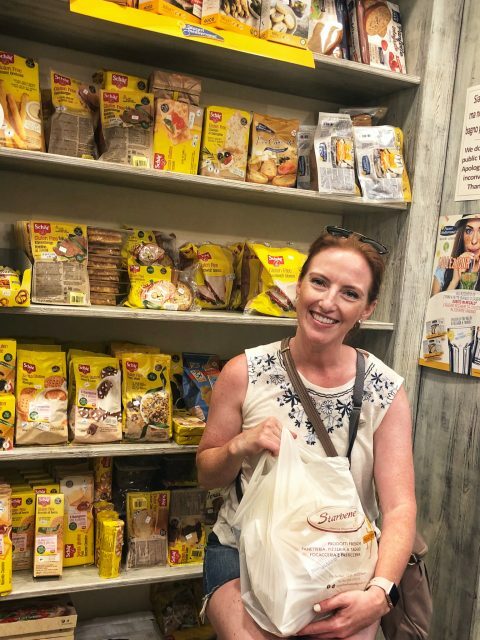 The gluten-free food in Italy was OUT OF THIS WORLD! 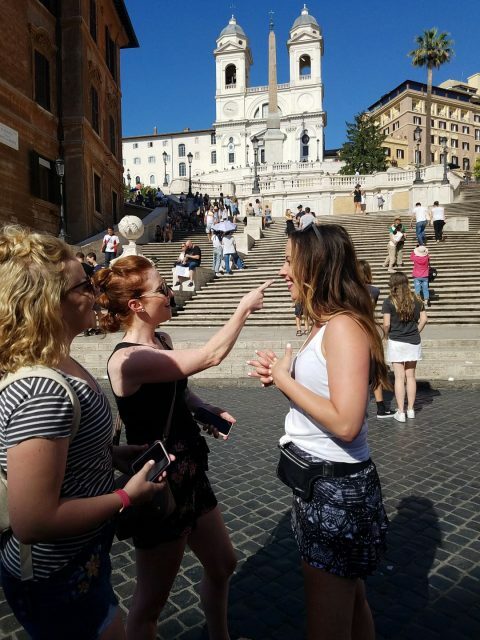 I traveled to Italy with my aunt, my cousin, and my sister. WE HAD AN AMAZING TIME! The reason for the trip was because my aunt was participating in an international dragon boat festival for breast cancer survivors. 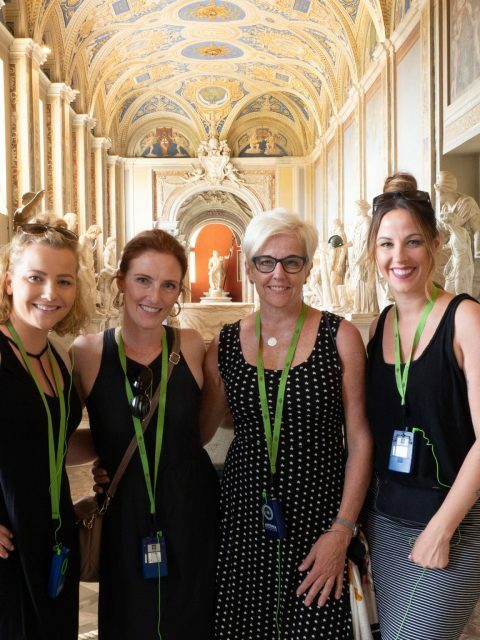 The festival was in Florence, but we decided to make the most of it and see Rome for a few days before. 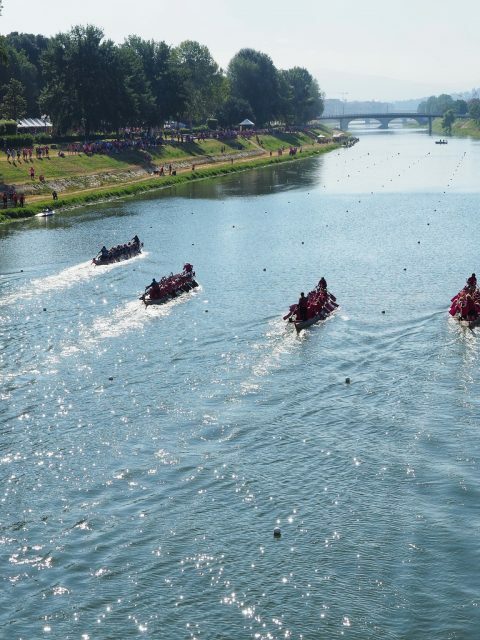 There were 4,000 breast cancer survivors from 125 teams across the world that were there to race in the dragon boats. Racing in these boats has been proven to be great therapy for lymphedema following mastectomies. It was a true honor to be able to watch these strong, capable, amazing women race these boats. Although it wasn’t an actual competition, my aunt’s team, The Dragon Divas out of St. Paul, came in 11th out of 125 teams – that’s pretty cool! Panoramic of the emotional closing ceremonies at the dragon boat festival. 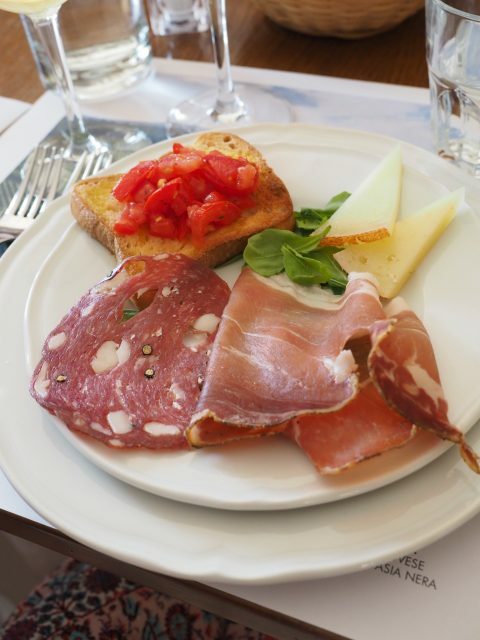 Italy is incredible for celiac-safe dining. 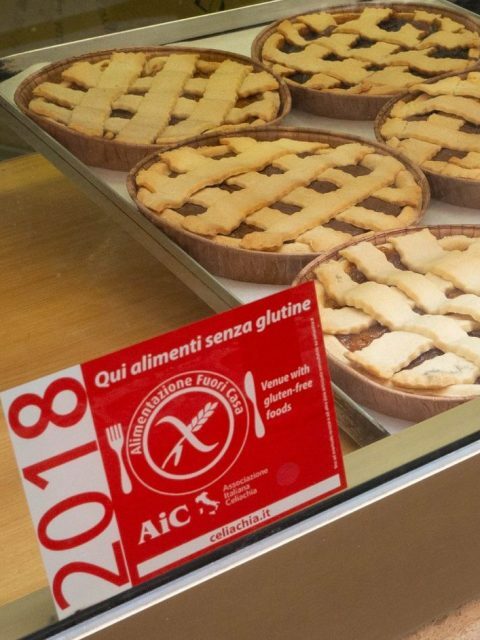 They have an Italian Celiac Association (AiC) that trains and monitors restaurants to have safe gluten-free food choices. There is a mobile app for the restaurants and they all carry the same AiC sticker in their windows so they are easily identifiable. 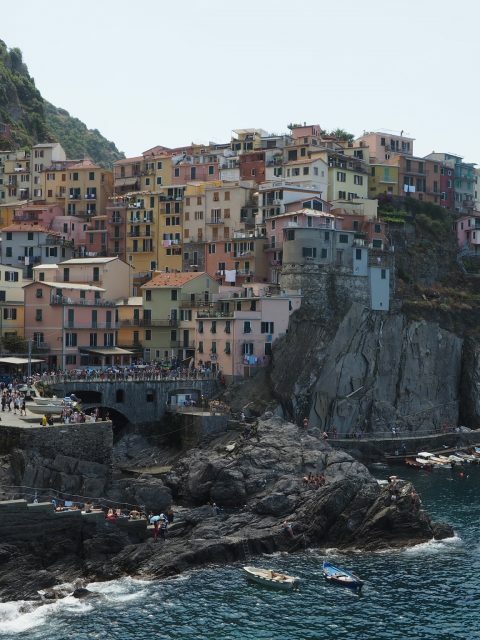 If you are traveling to Italy and haven’t downloaded that app, then you need to do that. Between the app and Find Me Gluten Free (and all the other online Instagram and Facebook resources), I did not worry at all when I was there. All of our servers were knowledgeable and some restaurants even had separate kitchens. 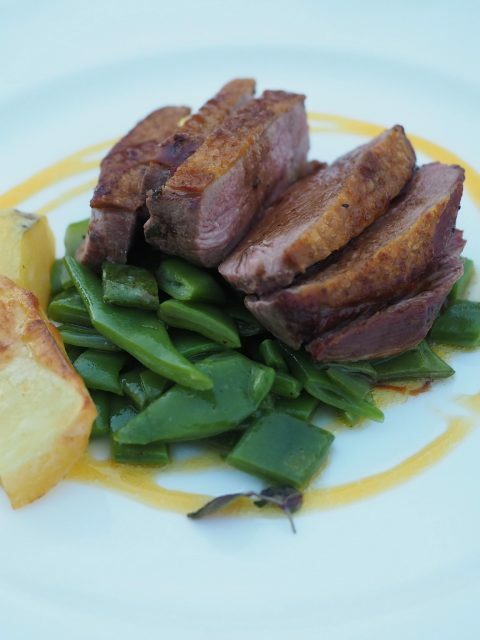 And the quality of the food was outstanding! Panthe Rei – Near the Pantheon tucked away in a cute little alley. I had the flatbread, caprese salad, and cacio e pepe (noodles with cheese and pepper). I heard they have excellent gnocchi. Iari the Vino – This was fairly close to our Airbnb. Not certified by AiC, but it had good reviews on Find Me Gluten-Free. I had a prosciutto pizza and it passed the Nima test! I ate the whole thing. 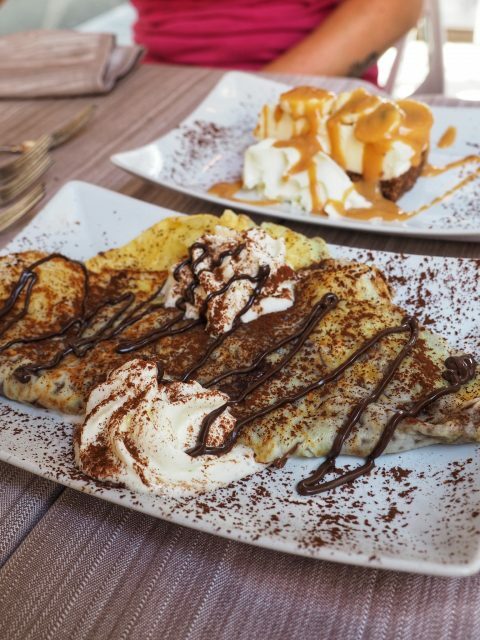 Mama Eat Roma – A great 100% gluten-free restaurant featuring street foods. Lots of deep fried goodness. I got a panini – when was the last time you had a gluten-free panini?? They have donuts with chocolate sauce. Enough said. 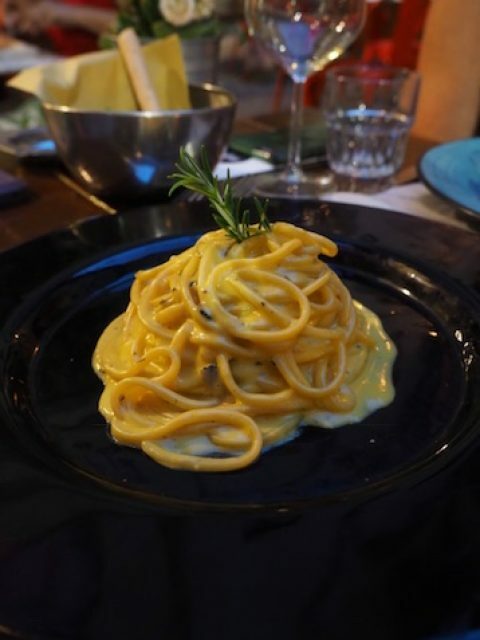 Cremeria Monteforte – This is right near the Pantheon. 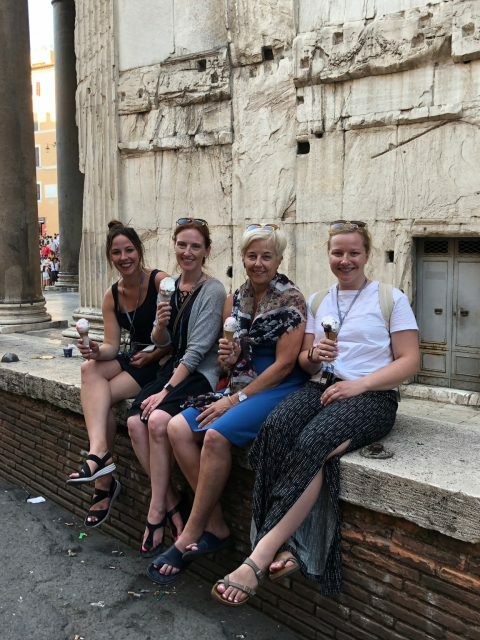 As I found with most of the gelaterias in Italy, even if they aren’t 100% gluten-free, they usually still offer cones and will get a clean paddle. They also take from an area of the bucket that hasn’t been touched yet and if one is getting low they will say you can’t have that one. If a gelateria offers cream on top, get it. That’s my advice to you! 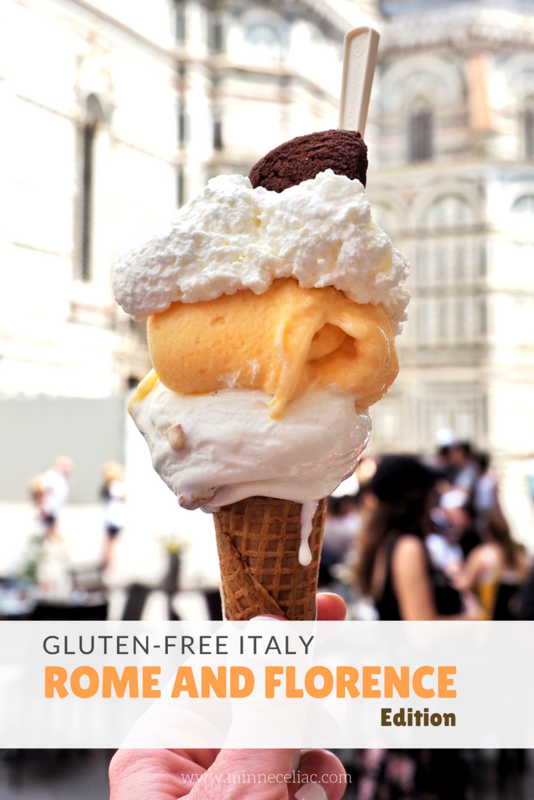 There is another 100% gluten-free gelateria over there called Fiocco di Neve that I wish we would have visited. Next time! 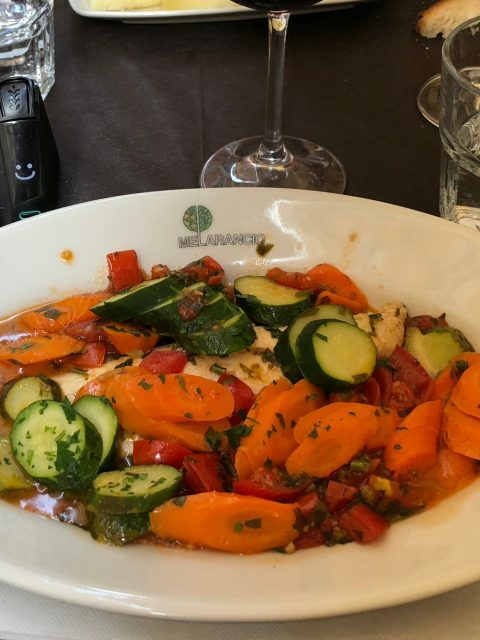 Melarancio Restaurante – I didn’t want to overdo it on pizza and pasta so I opted for a fish dish here. It was so good and fresh! And the bread was delicious. 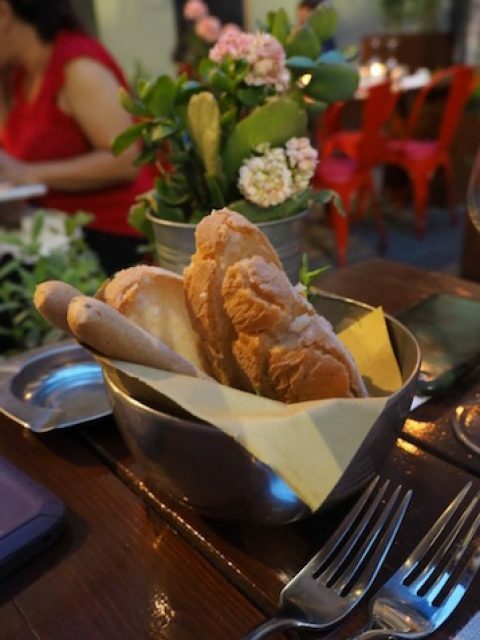 One thing my travel mates commented on a lot was that my gluten-free bread was better than their bread! And they said that at most of the places we visited! Pandali – A 100% gluten-free bakery. 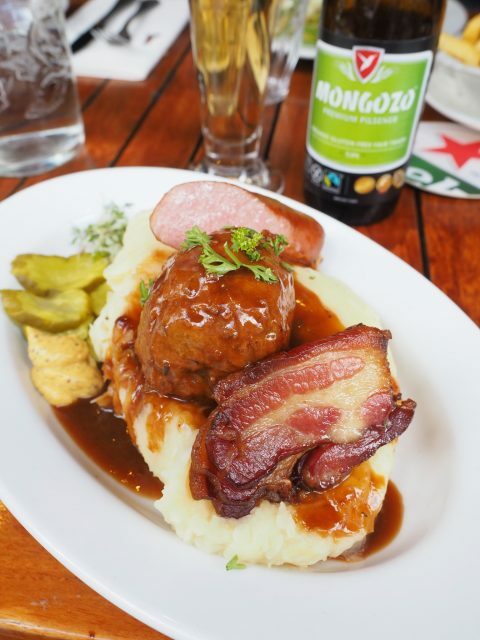 They have just about everything you could imagine, including a deli area and beer. I got a bagful of treats for breakfasts back at our place which included one of the best berry pies I’ve ever tasted! 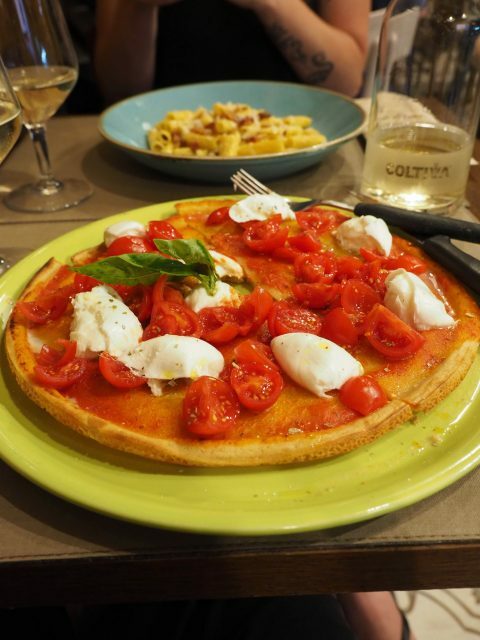 Pizza in Trevi – Located right near the Trevi Fountain which is a sight to behold. We specifically went to see the fountain three times because it is so breathtaking in person. I wasn’t the biggest fan of the pizza here. It was more bready and doughy instead of crispy and chewy like a typical wood fired pizzas. I will say though that they take gluten-free very seriously here. They bring out freshly wrapped cutlery and change out the glasses to help eliminate cross-contamination. 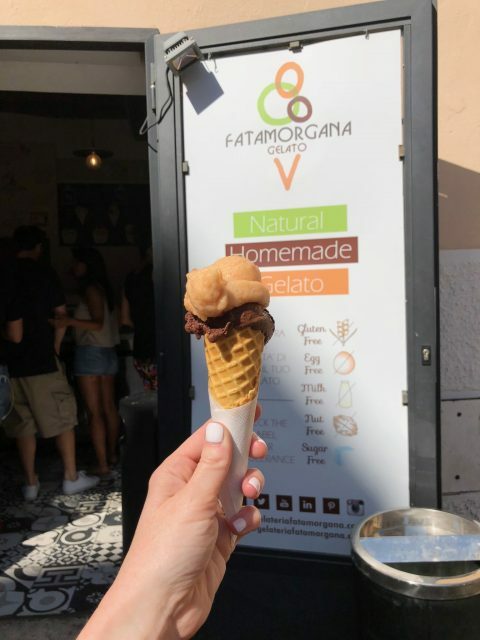 Fatamorgana Gelato – Our Airbnb was literal steps from their location in the Monti neighborhood so this was our nightcap every day. They are 100% gluten-free and offer a unique variety of flavors. Word is they have some locations in California, too! 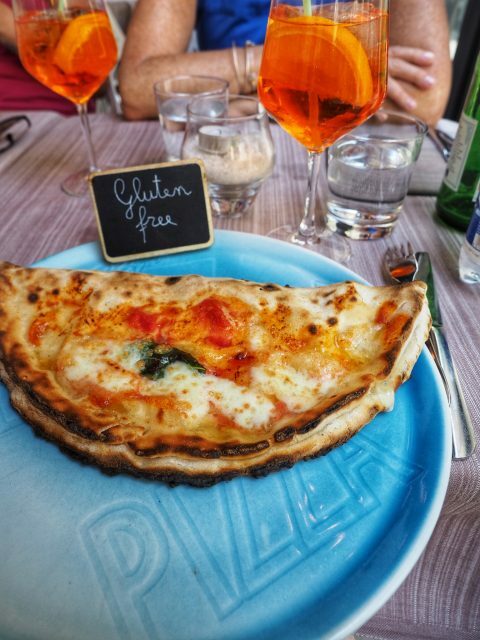 Ciro and Sons – This was the best pizza I ate in Florence. Maybe the whole trip. It blew my mind away! We all liked this place so much that we went back on our last night for a farewell diner. I did have a bit of a service issue with my gluten-free pizza on our last visit where everyone else got their pizzas and finished eating them before I even got mine. I had to ask for it twice. There was a couple behind me that ordered a gluten-free pizza, ate it, paid, and had already left before mine came. When I finally got it, it was delicious. The owner came out to apologize and even gave me a bag of their pizza flour to try at home. 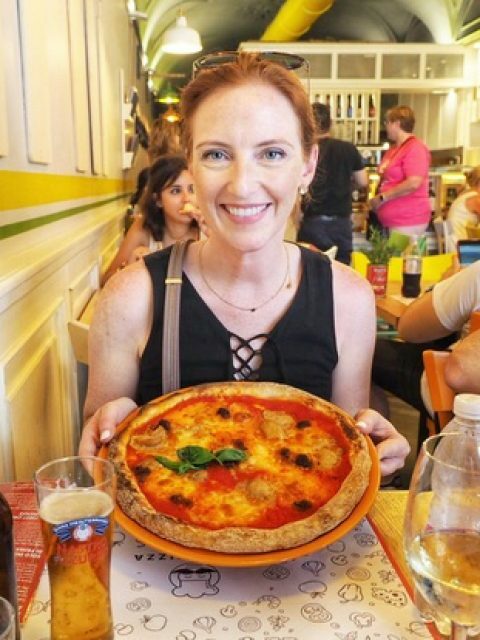 I would still say this is the best place to find pizza (and lots of other gluten-free dishes) in Florence! B-Roof at Hotel Baglioni – This was an unexpected dinner on our first night in Florence. 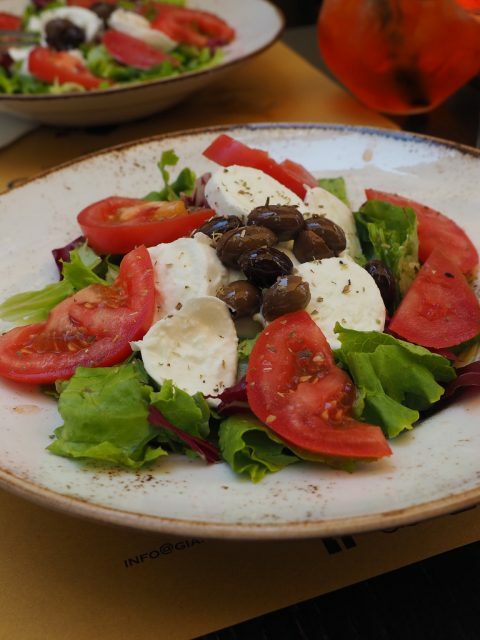 We initially were just going to check it out, but once we got up to the rooftop restaurant and saw the view of the Duomo and Bell Tower we had to eat there. They are AiC certified and a little on the pricey side. The ambience alone made it worth it. You can also go up to the roof for just drinks – I would suggest to go up there, grab a glass of prosecco, and watch the sunset. Breathtaking. Mister Pizza – I followed Mister Pizza on Instagram a while before our vacation so I knew that I wanted to go there. They definitely have great pizza and an extensive gluten-free menu. Plus, they have a separate kitchen space just for the GF pizzas. 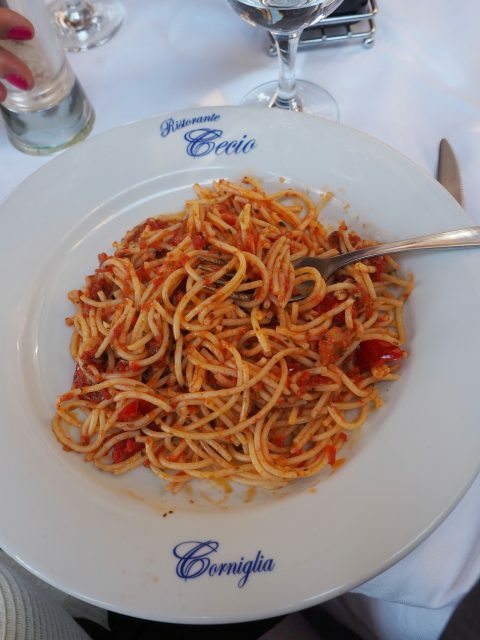 This is right outside of the Duomo and a must visit for a quick lunch or dinner! 1950 American Diner – Never would I ever think I’d be eating in an American Diner when in Italy, but I just happened to walk by here and see the AiC sticker outside I just quick looked at the menu. 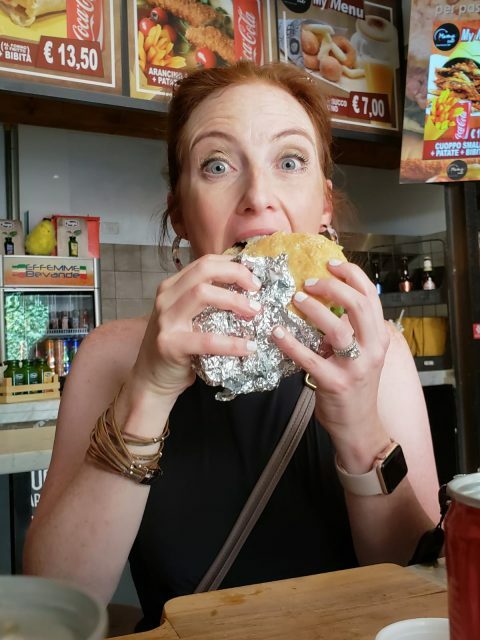 When I saw they had a Juicy Lucy (and even gave a nod to Minneapolis – here is a link to my favorite “Jucy Lucy” in the Cities) I knew we for sure had to go back. Everyone was kind of craving American food so we went for lunch one day. 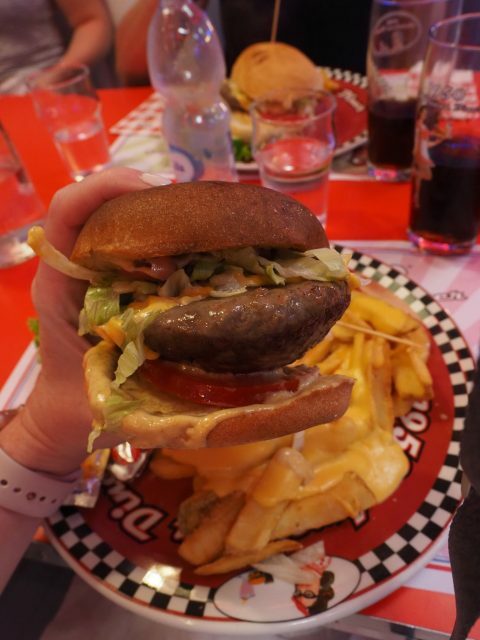 I did order the Juicy Lucy, it wasn’t the same as at home, but it was still nice to have little bit of home in Italy. 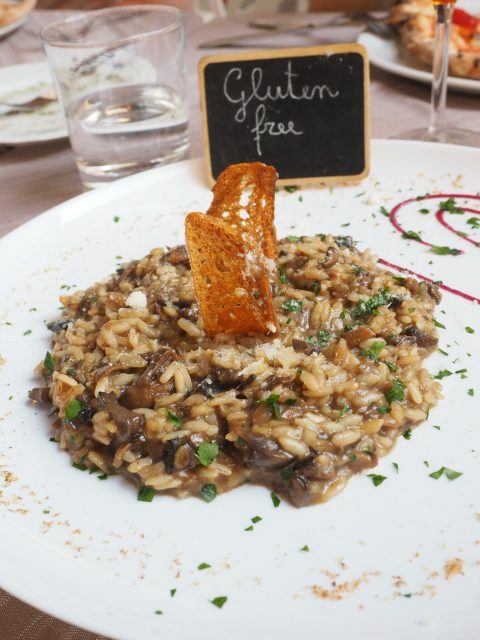 Ristoranta Quinoa – This is one of the only 100% gluten-free restaurants. It’s in a cute little courtyard tucked away in an alley. I got a curried rice dish, someone else had a steak, another gal had Greek food. There is a wide variety of cuisines. It was amazing to be able to try a bite off of everyone plate. They even have a doggie menu – how cute is that?! 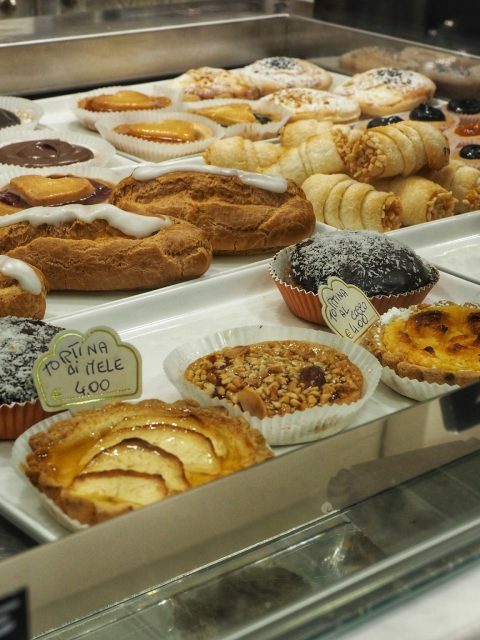 Starbene – This is another chain bakery with many locations in Florence. I visited the one near the Piazza del Signoria (where the David replica is) and then also one on the right bank of the river (for reference the Duomo is on the left bank). The one in town was filled with so many good pastries that were identical to what you’d find in a “regular” bakery. I had a crema filled pastry that was so flakey and light, just like an eclair. Oh it was so good. The one on right bank was much larger. 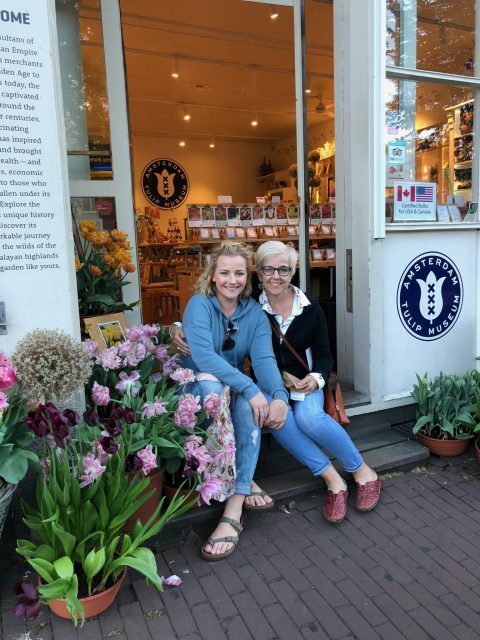 They were having a buffet that day (100% gluten-free) and had an entire store filled with so many products my head was spinning. It was basically heaven. I got a few things to take with me there, too! 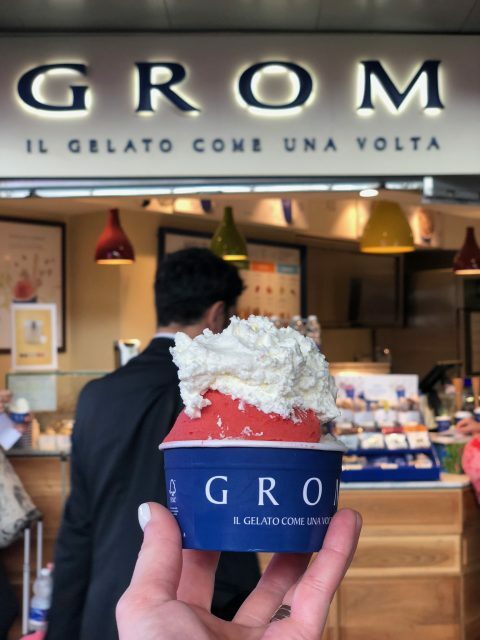 Grom – This is a 100% gluten-free chain gelateria with locations all over Italy. The flavors are simple, but I thought they were very tasty. I really loved their fruit sorbets, like lemon and strawberry. And they had delicious cream to go on top. It’s really amazing to be able to get anything you want at places like this. You’d never even know that these were gluten-free. I visited locations at the Rome train station and there is one down a little alley near the Duomo in Florence. Lorenzo di Medici – The final night of the Dragon Boat Competition we ate here with some of the other team members and their daughters that we got to know. I got to have lasagna. At a restaurant. We don’t get to say that a lot with Celiac Disease. Giannino – We just happened to walk by this restaurant when we were out and about one day. I saw the AiC sticker in the window so we decided to get a light lunch. I had a delicious caprese salad and some french fries that they fried separately just for me. 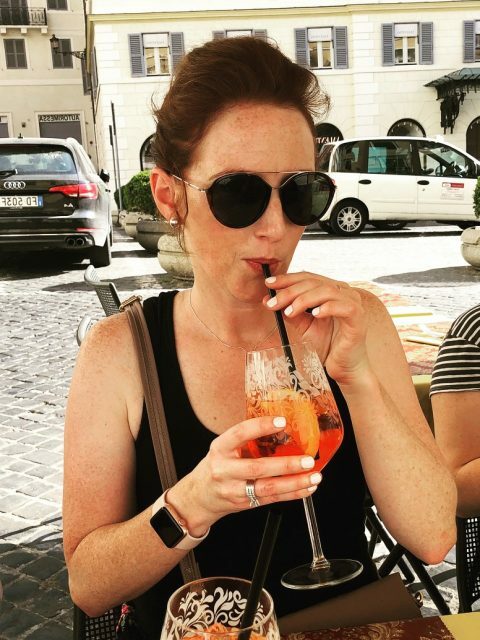 Aperol Spritz as well…always! Florence is actually fairly close to many other famous cities in Italy. 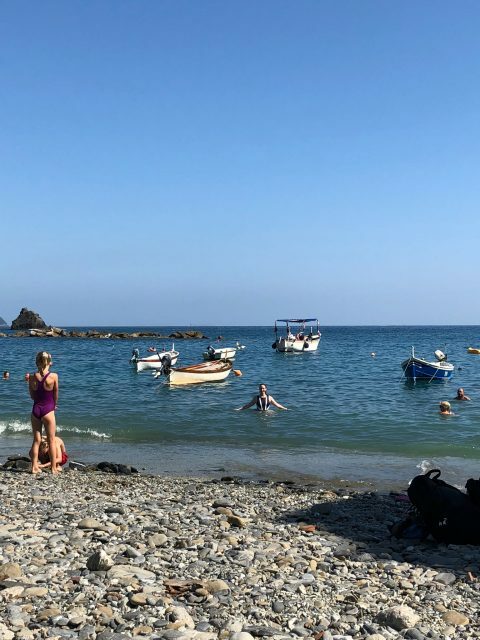 We decided to book a day trip to Cinque Terre (even though it was about a 2 hour bus ride there and back) because it was a bucket list item for all of us. We found a trip online that included visits in all 5 villages, a hike, and lunch. It was HOT that day. So hot that we decided to skip the hiking part after lunch and I’m glad we did. We did a short hike up to lunch and that was plenty for me! 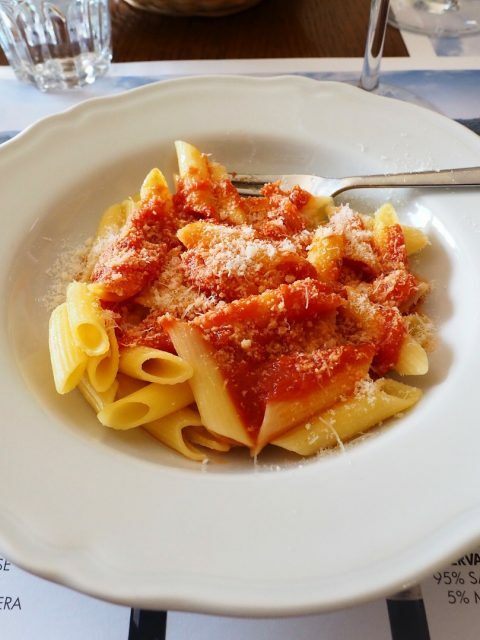 We ate lunch in the village of Corniglia and they offered a safe pasta with marinara sauce. 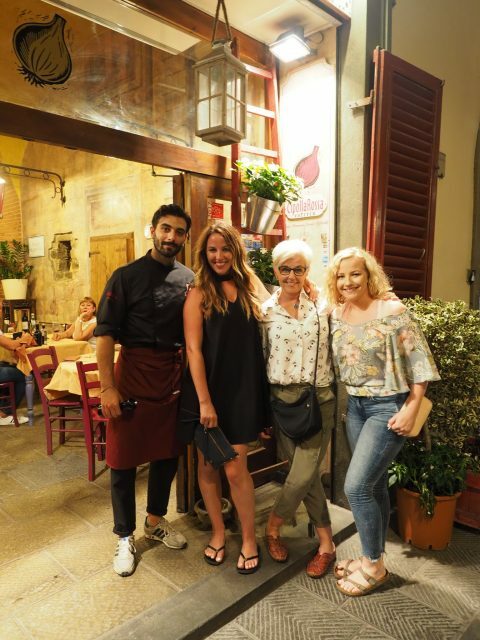 My other travel mates got to try the local pesto pasta which looked amazing. They said it was one of the best meals of the trip. I am going to see if I can recreate it in a gluten-free version! Tuscany is another MUST VISIT! I mean, wine. Hello!! 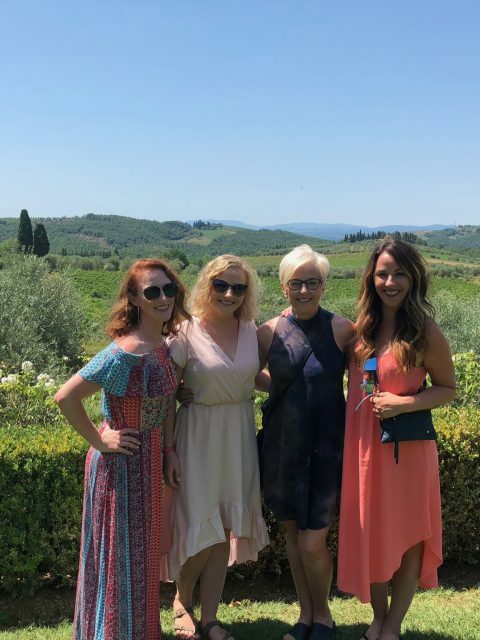 We decided on a quick morning tour of the Chianti Classico region. 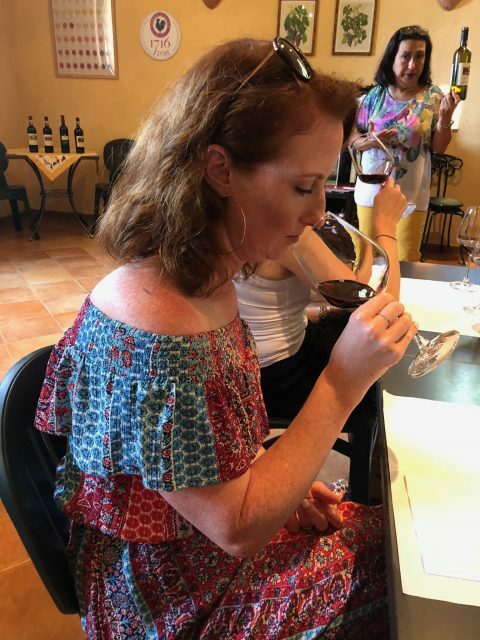 I’d highly recommend the company Grape Tours. It was a beautiful day for a wine tour and much cooler in the mountains. 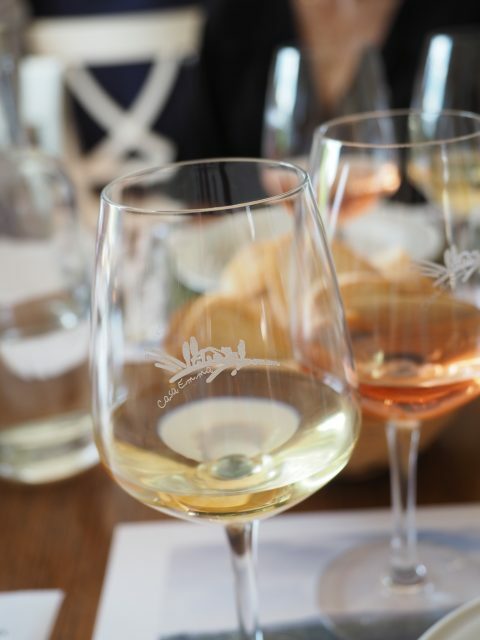 We visited 3 wineries and learned all about how to taste wine, what to look for, and how wine pairs with food. We also got to try some olive oil and balsamic vinaigrettes. I was able to have bread at one of the wineries and then I had a great lunch. Everyone else got to have pasta made from grape skins, but I was perfectly pleased with what I got. I don’t think I’ll ever drink any other kind of red wine. If you’re looking for Chianti Classico, remember to look for the black rooster symbol on the label. 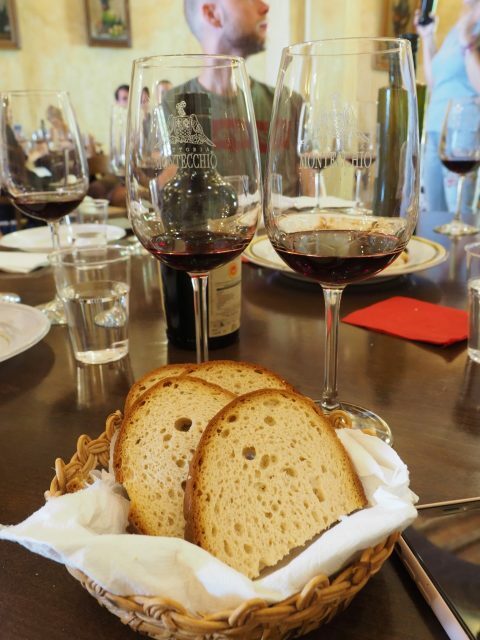 This means that they have followed strict guidelines for it to be considered Chianti Classico. 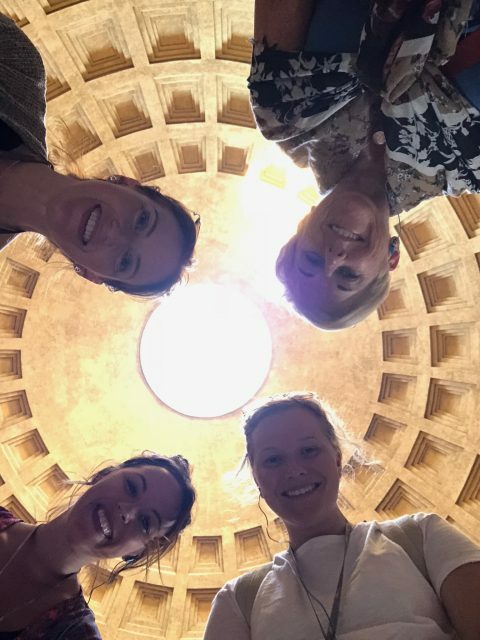 In Rome, we hired a private tour guide named Cecilia Alessio. She was fantastic and worth every penny! 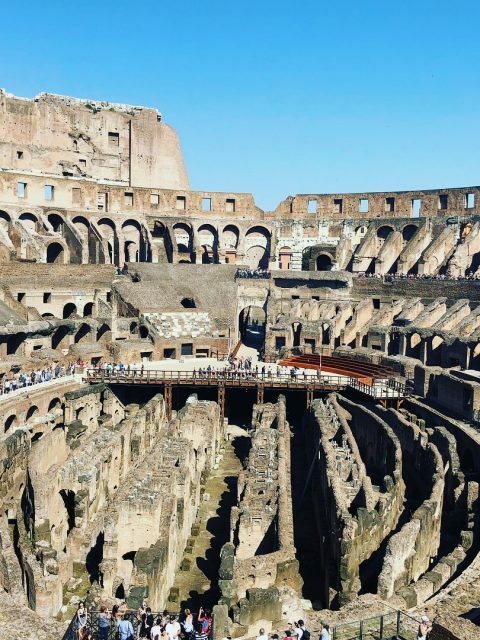 On our first night, she took us to the Colosseum and around town to see some of the main sights and churches. This was a great way to get our bearings for the rest of the trip. 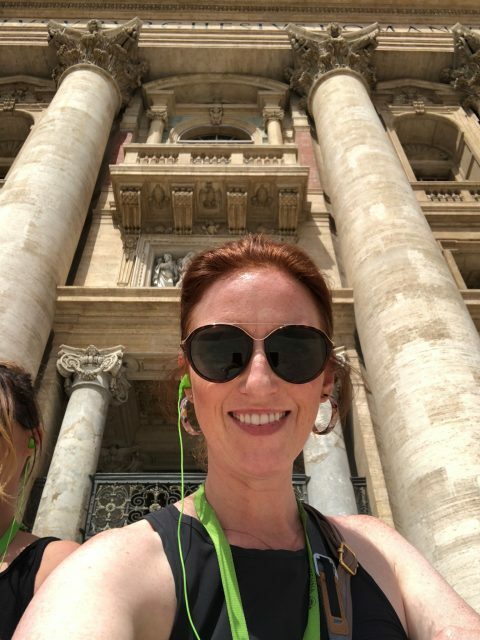 A couple days later she took us to the Vatican and St. Peter’s Basilica. I am not a religious person (that’s a different story for a different day), but I appreciate the value of religion to the country and community. 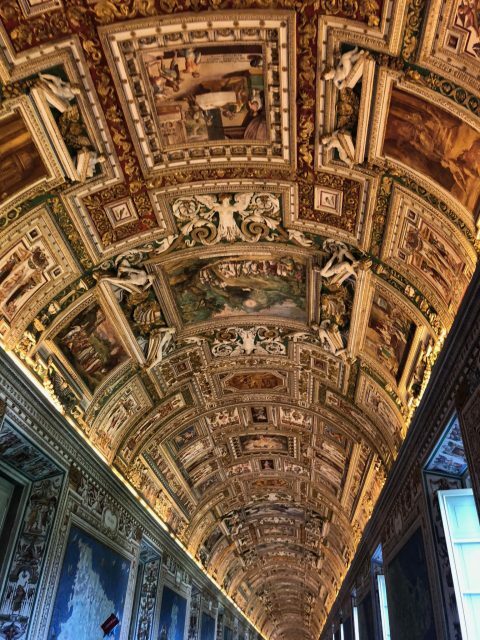 We were “blessed” by a priest when we were in the Sistine Chapel. I guess that doesn’t happen very often and it was a cool experience. The city was beautiful and I’d love to go back. 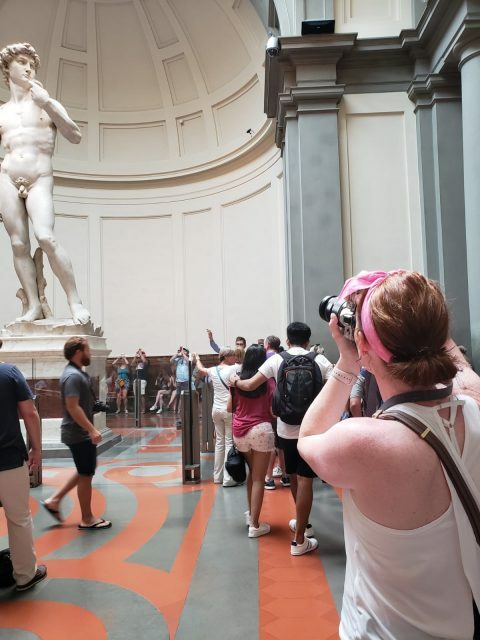 Florence is well-known for the famous David statue sculpted by Michaelango. The original statue used to be outside and was moved to a museum in 1873 to protect it from the elements. But there is an exact replica in the Piazza della Signoria. Even though the statues are virtually the same thing, I would highly recommend you spend a little bit of extra money to go into the museum to see the real statue. It is AMAZING what these people did with stone and there was just something about seeing the real thing in person. 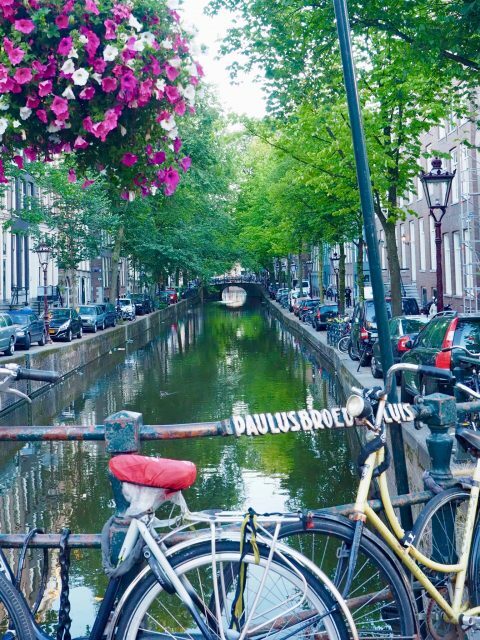 As an added bonus, we were stranded in Amsterdam for 22 hours (we missed our connecting flight home, but it wasn’t our fault). So we decided to make the most of it and take an Uber to go out to explore the city. 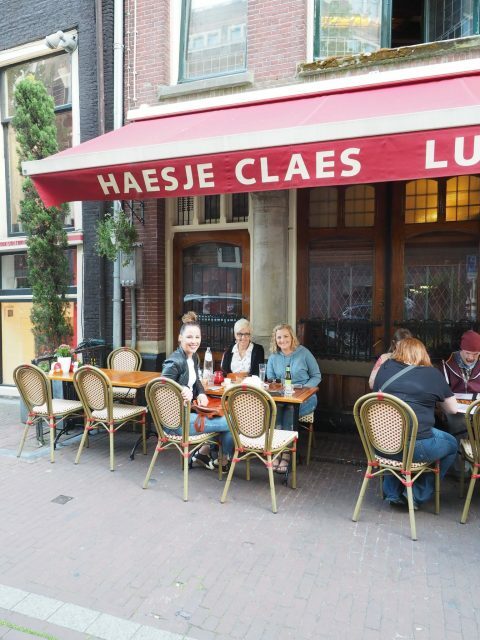 Amsterdam is another great location for gluten-free eats. 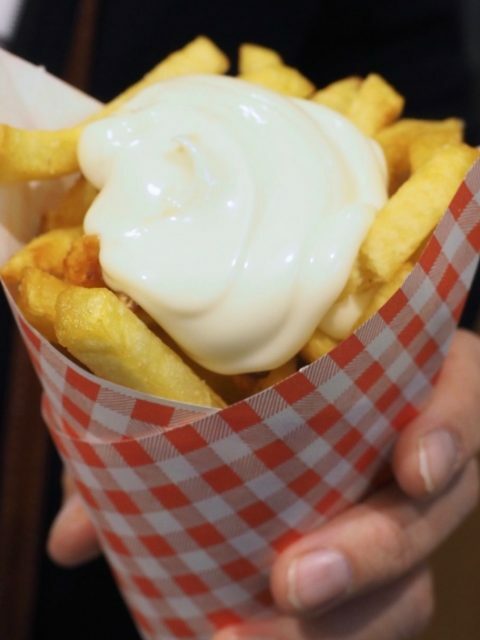 Thank goodness french fries are gluten-free and that you can find a lot of safe options around town! I was able to eat McDonald’s at the airport the morning of our flight back to Minneapolis. 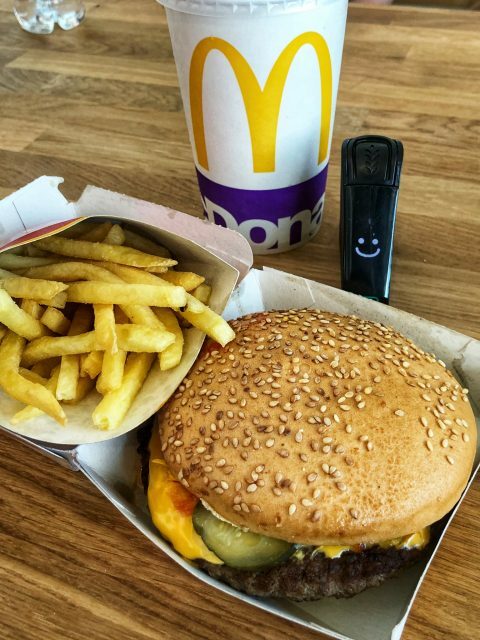 Yes, I had a quarter pounder for breakfast. I haven’t had McDonald’s in a year and a half so it’s not like I’m doing that every week. It was so freaking good!! I am glad I did eat all of that because Delta/KLM did not have my gluten-free food on the 8.5 hour plane ride home, even though I called multiple times before our trip and even called the airline immediately when our flight was rescheduled to make sure I’d still have meals on our long flight home. This is why I always pack nutrient-dense snacks when traveling. I’ll share my tips for air travel with Celiac Disease in another post! Ubers are not allowed in Rome so don’t expect that there. Signs on the street specifically state that. You can always take cabs. If you’re having a hard time getting a cab or are not near a taxi stand, go into a nearby hotel and ask them to call one for you. The service at restaurants is much slower then in the US. If you don’t want to sit around waiting for your server to come back with your bill, then ask for it when your food comes. You’ll seriously be waiting a while. Unlike in the US, Italian restaurant employees are not making their living off of tips alone and they aren’t trying to turn over tables to make more money, so tipping is not necessary and not required. There is usually a service charge included on your bill (usually fairly low like $3 a person). Summertime in Italy is HOT!! I heard that fall is beautiful there so maybe I would try to go back when the temperatures are a bit milder. If you are having a hard time finding some food or if you’re in an area that may not have many options, head to a Pharmacy. 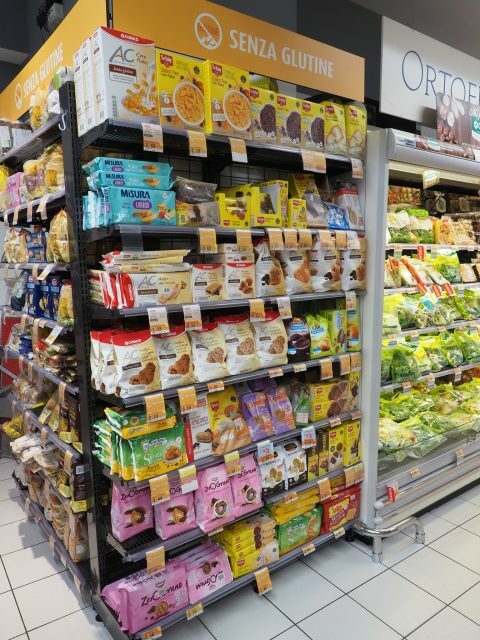 They typically carry some gluten-free snacks and things to tide you over! 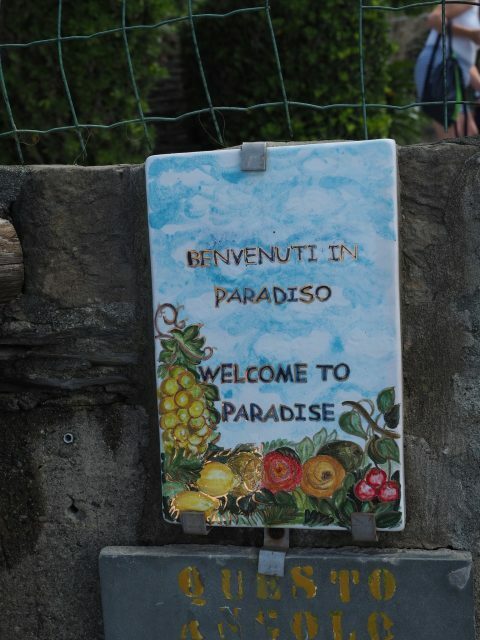 I did that when I was in a small village in Cinque Terre and couldn’t find any food. One of the restaurant employees suggested that to me! It’s true that you need to have your shoulders covered when entering churches. And skirts need to be at least to just above the knee. If you’re going in summer, I would suggest you bring a very lightweight scarf or shawl that you can stuff in your purse to have handy if you unexpectedly need it! 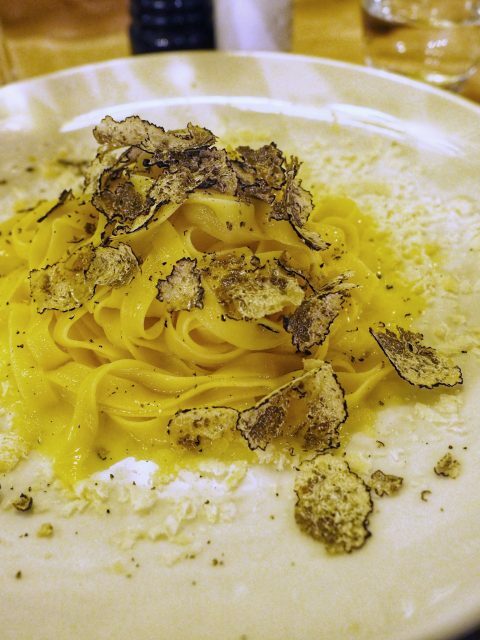 Be sure to check out my Instagram account to see more photos of the FOOD on my trip to Italy!! I can’t believe all the GF foods you could have in Italy. I would have thought it would be horrible. So glad to know there are so many and such good options in the land of pizza and pasta. McDonalds even has a GF bun option? Why not here in the US??? Hi Denette! Sorry I didn’t respond sooner, I was updating my blog and the comments got lost along the way. 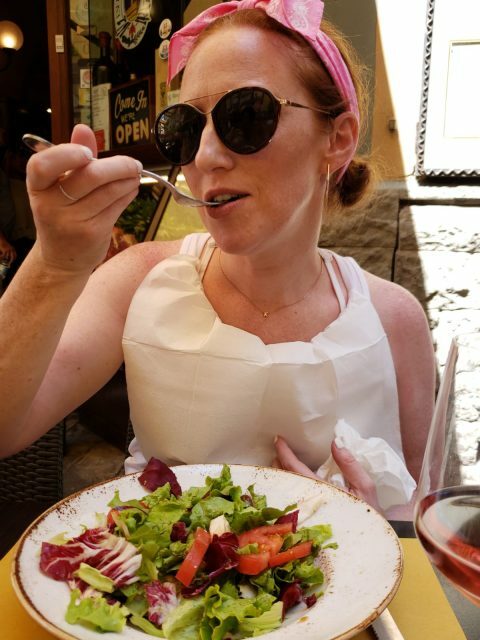 So, YES, Italy was absolutely amazing for GF food. They just get it, and some places even had separate GF prep and cook areas in the kitchens. So I was able to get the McD’s from Amsterdam, but they also have them all over Italy and I guess Spain even has a GF option at Burger King. Seriously, the US just doesn’t get it like European countries do. Celiac Disease is very prevalent over there so they all get how serious it can be. Hopefully, we can get GF McDonald’s here one day!